The best dog food depends on your dog's specific needs, traits, and stage in life. Getting the right food that contains the right nutrients will help keep your pup active in whatever stage of life they're in, feeling good, and looking good with a healthy shiny coat. Getting the right food for your dog is one of the most important things you can do for your dog's health. While it's true that each dog may need something slightly different from their food, and that each dog food company has a different philosophy and way of operating, We can group dog foods broadly into the categories of wet, dry, grain-free, and fresh (along with puppy food specifically). The recommendations we provide here are our top pics for each broad category, prioritizing quality above all other factors. How Did We Determine These to be the Best? We looked at the top 150 widely available food brands in the US. We compiled ingredients for each of their foods then verified each had a workable website. Then we dove into their ingredient and nutrient lists, cutting out foods that contained red flag or toxic ingredients and giving points to foods that contain super ingredients. Then we cut foods with low quality meats like 'chicken by-product meal', those with an excess of artificial flavors, artificial colors, and artificial preservatives, and those that relied heavily on plant based proteins. We looked at things like consistency of quality, and reviews of consumers. Finally we narrowed our list to about 25 top dog foods between the categories. 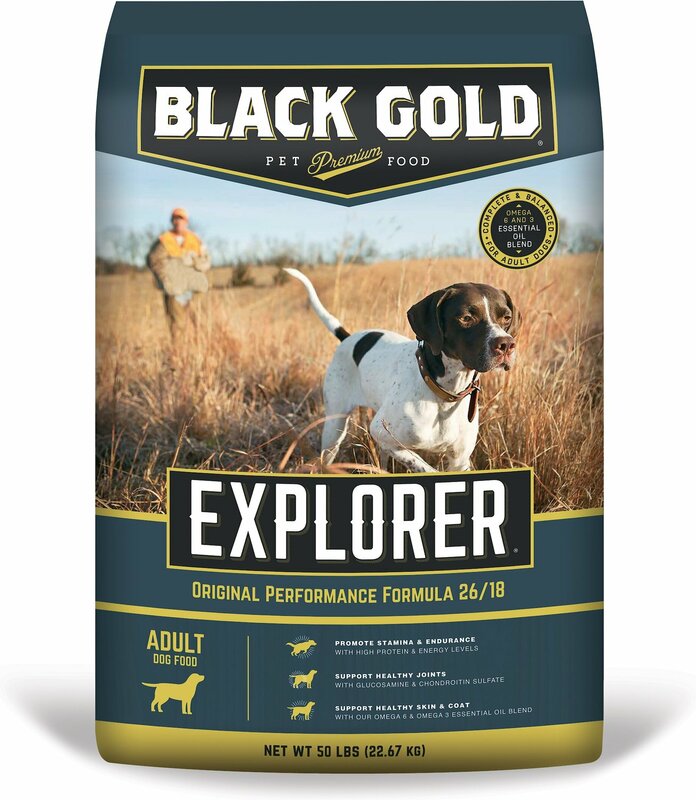 The final rankings came down to factors like availability, if the dog food is available widely in brick and mortar pet stores as well as online from retailers like Chewy or Amazon. The top dog foods for each specific category can be found below. So, What Is The Best Dog Food? The answer is that it depends on your specific dog's needs. Not all diets are a one size fits all for our canine friends. The best food for you dog depends on things like activity level and breed, age of your dog and life stages, size of your dog and if there are specific feeding goals like slow dieting or weight loss, and finally if you're treating specific health concerns like getting your dog on a diet for arthritis or joint health. According to the Oxford Academic Journal of Animal Science, the answer to this question may be a bit misleading when considering the ideal food for today's domesticated dogs. Canines in the wild like wolves eat a very protein or meat heavy diet. But domesticated dogs have evolved slightly differently "in their ability to metabolize carbohydrates and select a diet lower in protein (30% of ME from protein) than the diet of wild wolves". The natural balance of a domestic dog's diet should be less protein heavy, and contain some auxiliary plant based minerals and nutrients. When getting back to the 'natural canine diet', the best thing you can do for your dog is to feed them a natural dog food diet. This is a diet that contains ingredients with minimal to no processing and high-quality protein ingredients. ALSO READ: What is Holistic Dog Food? Lucky for us, dog food labels aren't exactly the Wild West. An organization called The Association of American Feed Control Officials or AAFCO oversees dog food labeling. Therefore, the packaging has to conform to guidelines that influence some of the terms you see over and over. There are a few important factors, but it isn't as complicated as it looks. Because labeling percentages are measured in weight, the denser the ingredient is the closer to first place position it will get. Expect to see meat and good sources of fatty acids at the start of your dog food. If you don't, that's a bad sign. It's also important to remember that just because an ingredient lands at the end of the list doesn't mean it's worthless. They might just weigh less! So use these labeling tips to guide your purchases but remember to use some common sense along the way, too. Vitamins and minerals are only needed in trace amounts, so while they are important, they're not going to be the first ingredient in the list. 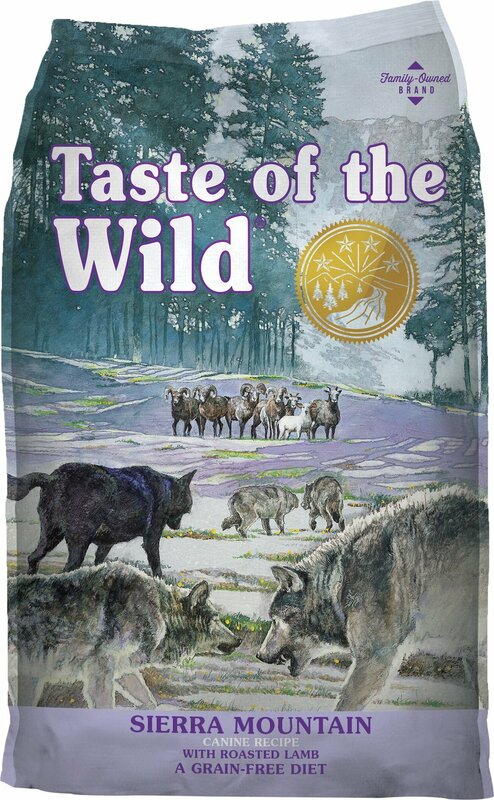 Foods that are labeled as a specific flavor or ingredient, for example: Taste Of The Wild Dry Dog Food: Lamb, are bound by some regulations. The AAFCO requires any food that references one ingredient on the label to represent 95% of the total composition of the food by weight. If two ingredients are referenced together, such as Peas and Carrots, it's treated like one ingredient. Together, peas and carrots must make up 95% of the dry weight of the food. 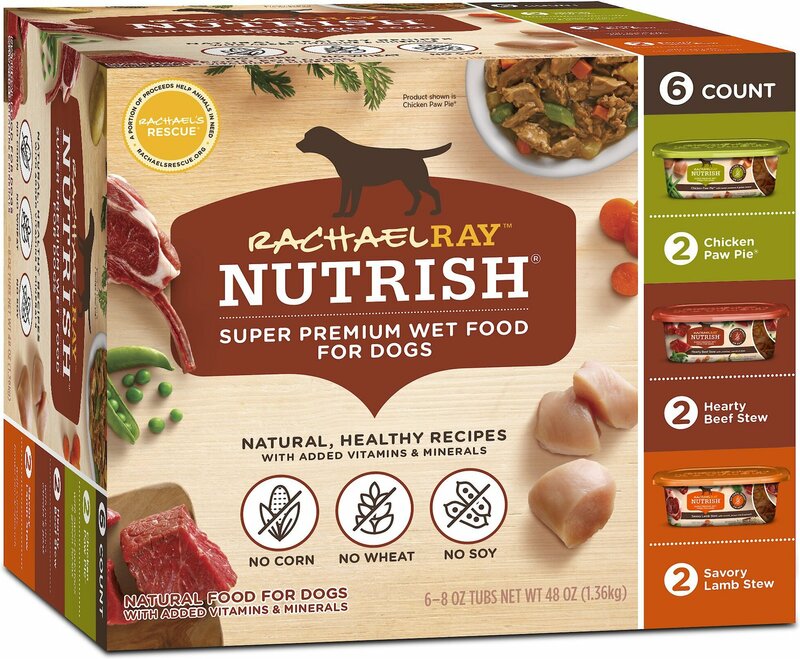 While it may seem like a marketing idea to call your dog's food an entree, these terms also mean something objective. To comply with regulations, foods that use the terms dinners, platters, and entrees have to contain 25% of whatever ingredient is referenced along with that word. In our example, this food must contain 25% chicken and barley by dry weight. Most dog parents choose to feed their dog dry kibble. These are our picks for the best dry dog food. Dry dog food is either baked or made with a process known as extrusion, which uses water steam and pressure to cook the food dough or batter. This creates a processed food product. The process of making dry food, means a lot of starches and carbs are included to form the batter and consistency and texture. Some of the pros to this form of food are that it is extremely shelf-stable and long lasting. It's also relatively cheaper than other forms of dog food, and buying in bulk with large bags makes it even more economical. Some dog owners prefer wet dog food or canned food to dry because along with the food your dog also gets hydration. This can be an issue with dry dog foods that tend to dry dogs out if your dog doesn't naturally drink enough water. Tend to have fewer carbohydrates and starches than in dry food. Wet foods are generally less processed than dry foods. Because you want a nutrient dense food, you don't want to see a lot of grains, especially corn, in the ingredient list of your dog food. The more fillers are listed, the less nutrient dense the food is. This may not always be the case, but it's a simple general guideline. 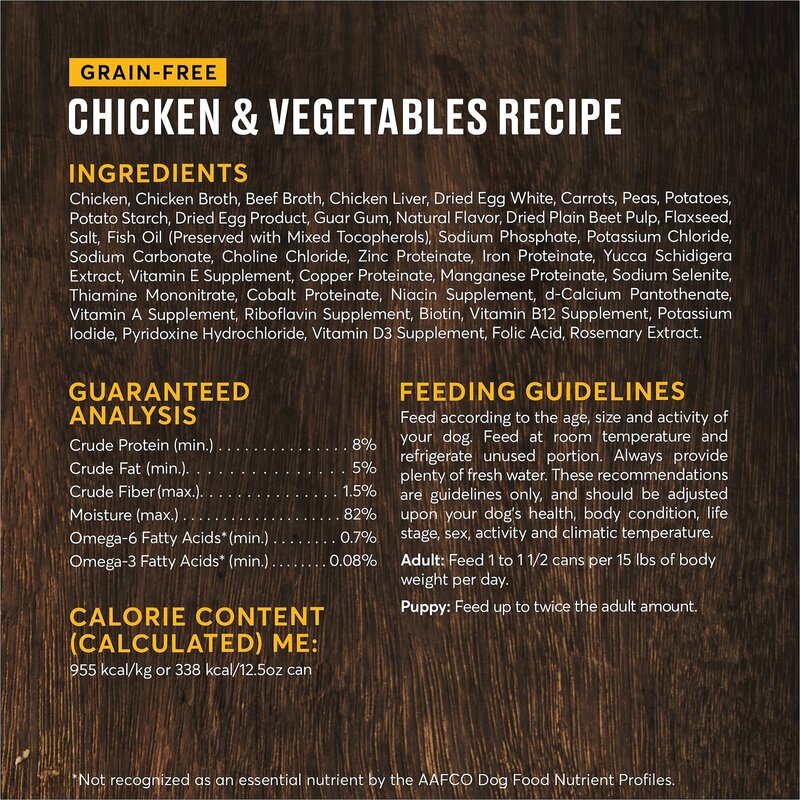 To see our full breakdown, see our article: Best Grain-Free Dog Food. Grain free dog food is wonderful, to a point. As often happens, pet owners were made aware of the useless and even harmful grain fillers in their pet food and they freaked out a little. It's understandable. You probably don't have to panic. If your dog has a wheat or corn allergy, definitely steer clear of these ingredients. 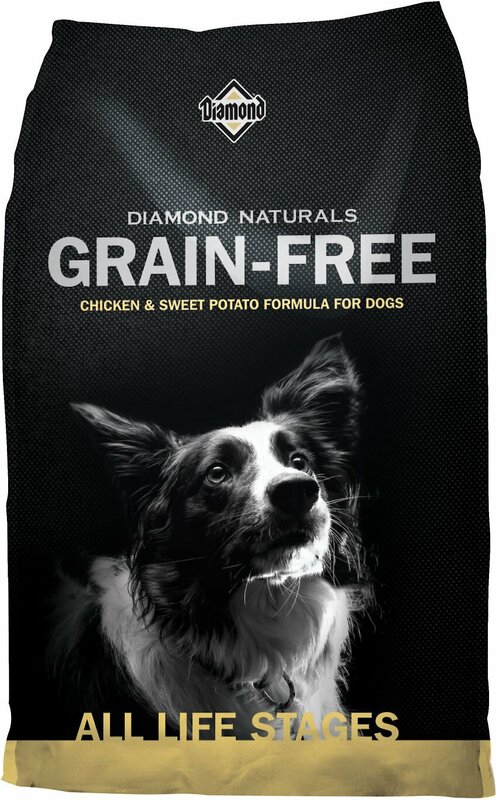 Low quality grains won't bring any nutrition and can even upset your dog's digestion. 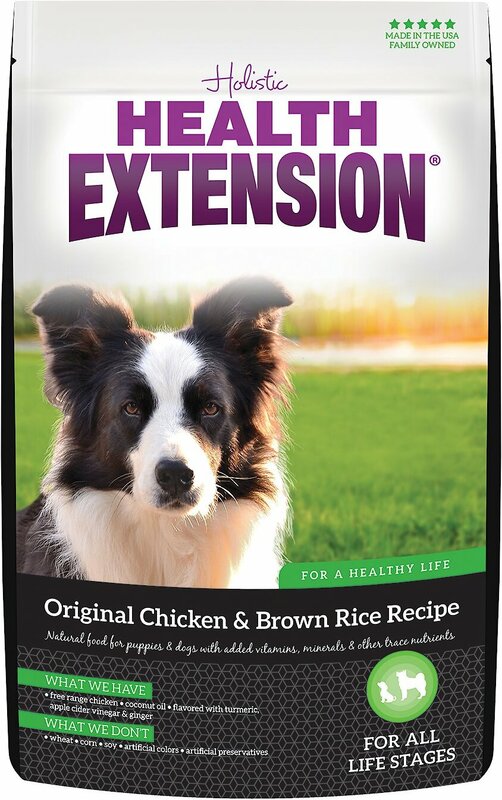 If you're looking at a dog food that contains quinoa, on the other hand, that's ok. Not every grain is created equal. 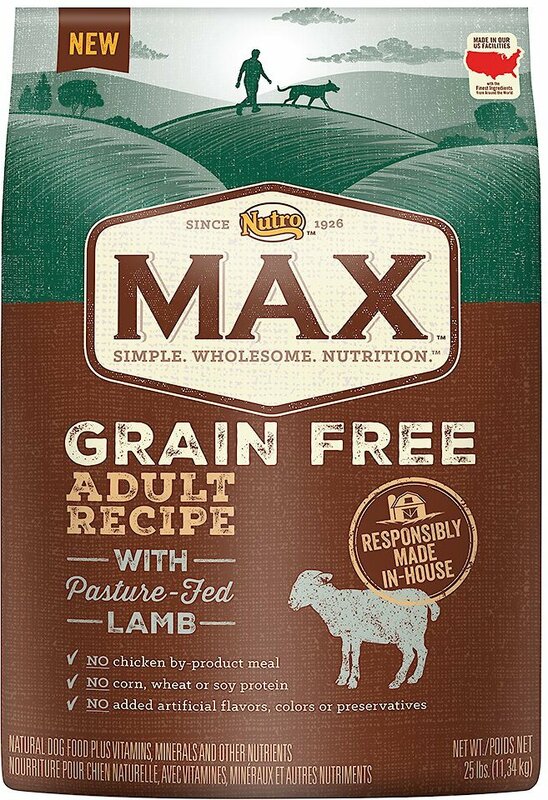 If you're worried about grains, choose a high-quality grain free dog food. There are a lot of them available. Sojos manufactures an interesting 'raw food' grain free formulated diet that you reconstitute with water. 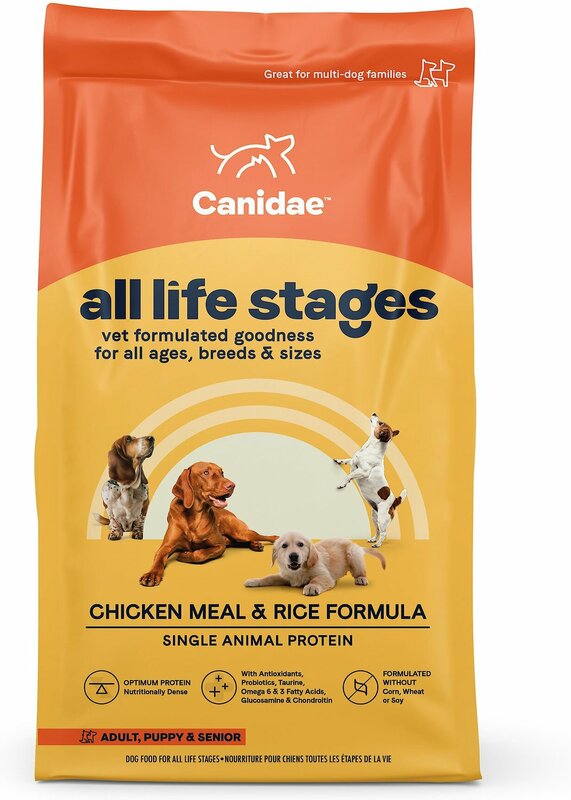 Canidae also has a grain free variety of canned wet food. There's been a big emergence of high-quality dog food subscription services and dog food companies. Most take specific inputs like your dog's age, weight, breed, activity level and then formulate the right specific food or your pup. A Couple of our favorites are Nom Nom Now and The Farmer's Dog. To dee our full breakdown of dog delivery services, see our full Guide to Dog Food Delivery Services. Nom Nom Now is based in San Francisco, and delivers human-grade, portioned meals to your doorstep each week. You can get your first two orders at half price, and shipping is always free. Cost depends on several factors, but Nom Nom Now estimates that for the average, 32-pound dog, you can expect to spend less than $3 per meal. Based of out New York, The Farmer’s Dog runs no retail stores, but consists of a human-grade kitchen and a delivery service. All the ingredients used in their food are human-grade, sourced from local farms and restaurant suppliers. If your dog has an allergy, take extra care with your food selections. Talk with your vet for her opinion or recommendation. If you suspect your dog has an allergy but it's still undiagnosed, use your label knowledge and your vet's help to try to identify if there is an issue or not. I don't want to downplay allergies because they can be very serious and even life threatening to your dog. Thankfully, the majority of the time your dog will experience mild symptoms like itching or sneezing. That means you can make adjustments without panicking. What ingredients are present that might be causing your dog trouble? If the allergy is serious, you'll need vet attention right away. 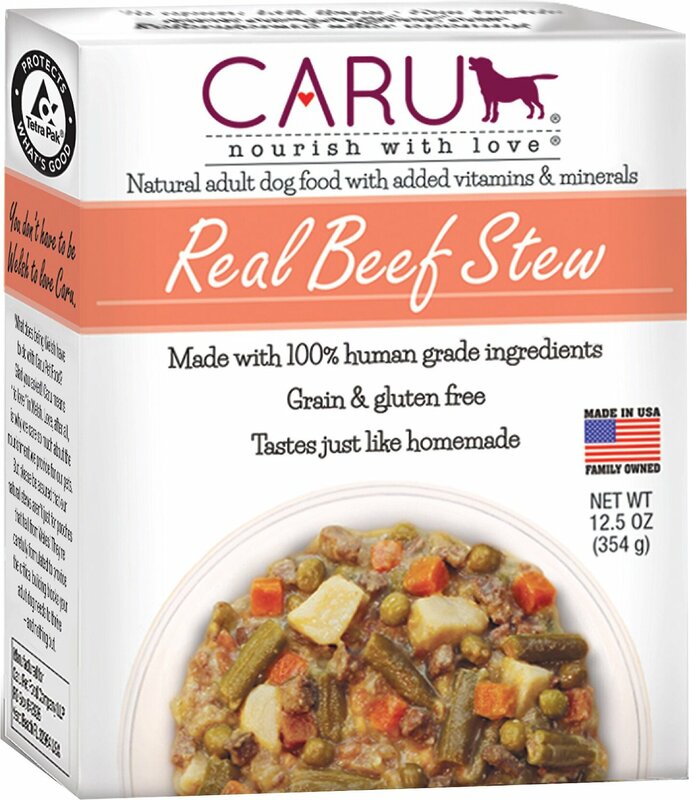 If it's mild, you can try to phase in a new food lacking one of the ingredients in the food your dog currently eats. Some dogs tolerate these ingredients just fine. So don't worry unnecessarily if your dog is eating any of these things and appears healthy. I think it's great to have grand ideals about pet care, but it's also important to operate in reality. Some people are great dog owners but feed their dogs mid-grade food because it's in budget. If you're one of these people, see if you can use some of the tips in this post to get the most bang for your buck. I'm very intrigued by the raw dog diet, but it takes a lot of work! I admire people who educate themselves and go for it. If done right, feeding a raw diet can create a beautiful dog! From a science perspective, it isn't so simple. Mainstream vet medicine still doesn't endorse raw dog food diets. Additionally, it can be very difficult for a regular dog owner to commit to a more complicated feeding regime. That could result in nutritional deficiencies. Even if one sticks to the BARF (really, it stands for Bones and Raw Food) diet touted by the leading mind on the subject, Ian Billinghurst, there's no guarantee. Please educate yourself by reading materials from many sources before you try feeding your dog a raw diet. Talk with your vet even if they don't agree with you. You need them as a partner and access to their knowledge is important. For more now, read our article: A Raw Diet for Rover: The Basics. I'm not a big fan of vegan diets for dogs even though I frequently go vegetarian myself. I know that some people feel very passionately about this and it is your life to live. However, I can't recommend it here. If your heart is set on it, please do plenty of research so you can cover all of your dog's nutritional requirements. It isn't going to automatically make your dog sick, but it's hard to do this correctly. Dogs are also meat based omnivores genetically and unable to make a choice based on human ethics to go vegan. Some dog breeds need a little something extra in their diet. 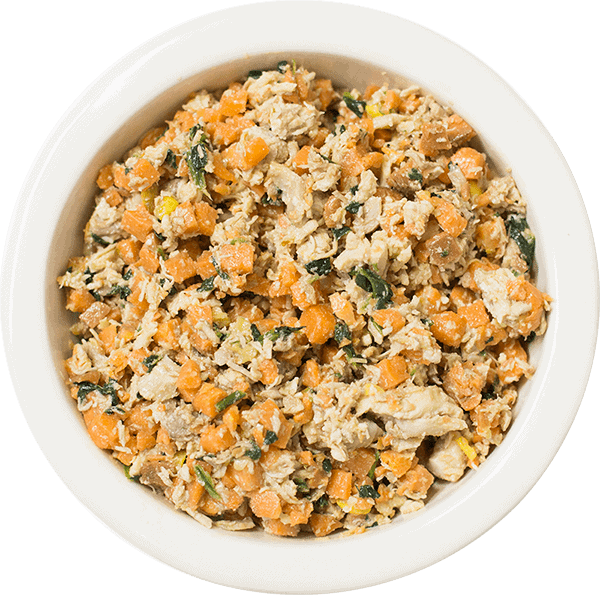 Most commonly, it’s protein and very active or muscular dogs benefit from extra protein in their diet. Bully breeds and boxers frequently make the list of dogs that need more protein. Here’s the problem: dog nutrition is complicated. Some of the protein content on the dog food label could be from indigestible forms of animal byproducts and that won’t help. I suggest you opt for foods that are relatively low in animal byproducts, but I’ll explain that more a bit later. It needs its own heading. If you want to calculate how much protein your dog needs by weight, you can really dial in your dog food strategy. If you don’t want to go through all that, don’t sweat it. Ask your vet for help. Chances are, if you choose a food with great ingredients and your dog gets good news from the vet, you don’t have to stress about this. Some of the same large, active breeds also need food that is dense in calories. So do puppies. If you aren’t feeding your adult dog junk food dog food (I won’t mention brands, but I’m talking about super cheap food) and your dog maintains its weight, you’re probably fine. Don’t overdo this, however! It’s easy to go overboard and start feeding your dog tons of protein and this is not necessary. Just select a food that is formulated for your breed or at least the dog’s size and that fits the other requirements in terms of ingredients.